Stephanie Link, third from right, stands with Garrobo Project trainees in San Salvador, El Salvador. Fear is common on the streets of San Salvador, El Salvador. The capital city of the Central American country is a hot spot for gang violence and brutality. With bloody streets often being literal, rather than figurative, many young women fear the trek to school where the pressure from the gangs is a constant. Families are forced to give money for protection and girls are often pressured into a relationship. To meet the needs of the people, many are attempting to combat the negativity. Among their ranks is Stephanie Link, a Ph.D. student in the Division of Applied Social Sciences’ Department of Rural Sociology. 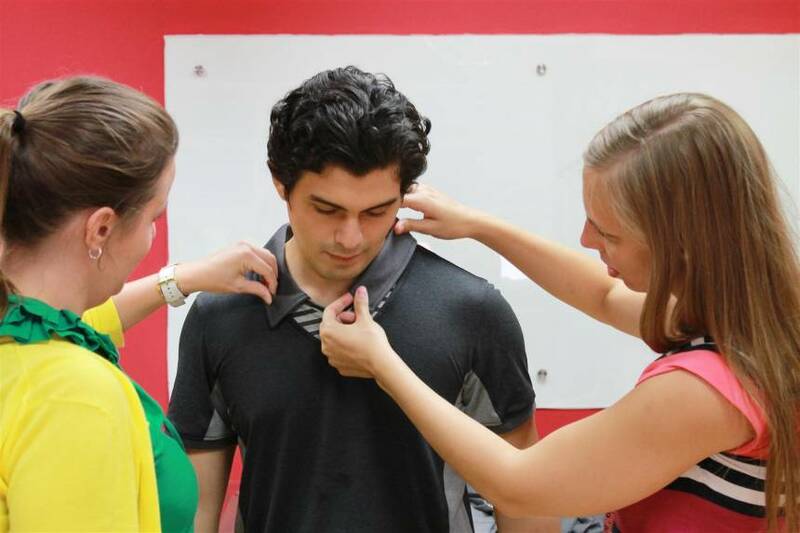 Link recently partnered with The Garrobo Project, a career-training program affiliated with an El Salvadorian apparel factory. What would become her journey to El Salvador began in 2006 after graduating from Stephens College with a degree in fashion design and product development. Link moved back to St. Louis to work in her grandmother’s custom dress shop – R&M Designs. At only 22 years old, she says customers were often apprehensive about someone so young being responsible for such an expensive gown. “I grew up doing it – I thought everyone knew how to sew,” Link says. Eventually customers’ trust grew, but these questions and connections initiated a side job for Link, teaching private sewing lessons. Link unearthed a new passion and thought teaching may be her future. 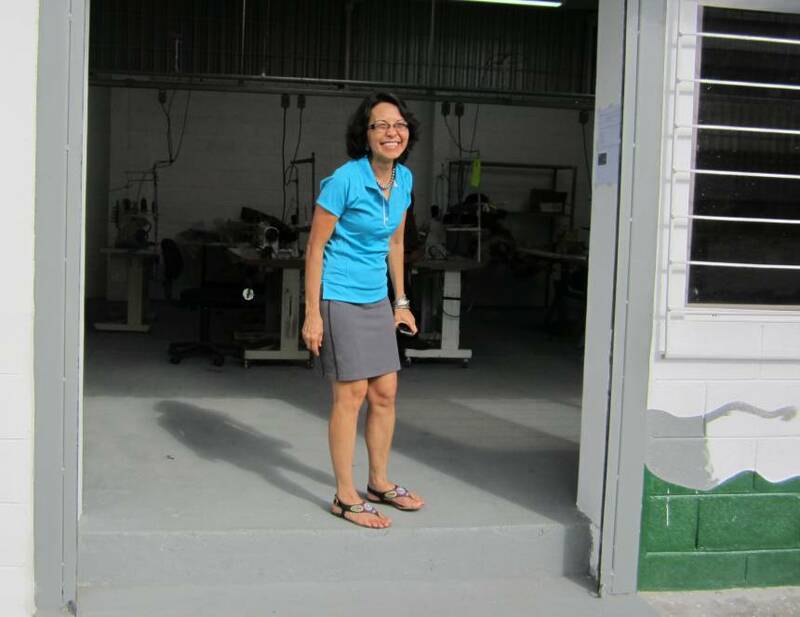 In 2011 Link enrolled as a master’s student in the College of Human and Environmental Science’s Department of Textile and Apparel Management. Here, she taught a basic sewing course. During winter break, she received an unusual call from her professor, offering a grant-sponsored position to work for six weeks in El Salvador with a large apparel factory. The company wanted to develop its own yoga clothing line so that during less busy seasons, they could focus on their own line and avoid laying off workers. Five years before Link arrived to El Salvador, an older pair of expats were preparing to retire. Milagros (Jiji) Rentsch-Tizon and her husband Hans had been traveling the world for years following Hans’ job as a consultant for apparel factories. Jiji is originally from the Philipines and Hans from Switzerland. By the time Link arrived, Rentsch-Tizon was well settled and had been seeking out a chance to follow her philanthropic dream of opening a career training center for young unwed mothers. Through her church, she met the owner of a large apparel factory who had the same sentiments. Not only was he willing to provide financial support, he also suggested keeping the center as a separate entity yet still within the factory compound – outside the dangers of gang violence. The Garrobo Project would teach young women not only sewing and textile skills, but also management skills, computer training and health and hygiene. Free child care and education for the trainees’ children would also be provided. The project was set to begin during the fourth week of Link’s stay. 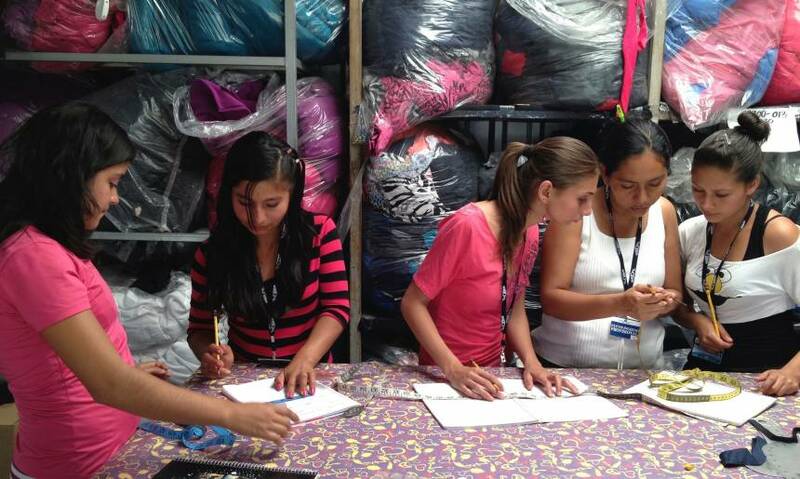 Link, right, assisting at a large El Salvadorian apparel factory during her trip. “Instantly – as soon as I figured out what Jiji was doing, if I had a break, or if there was a lull, or if I had some way to sneak away, I would run to Jiji’s career training program,” Link says. In her mid-20s, Link was around the same age as Rentsch-Tizon’s daughters back in Europe and a close friendship soon developed. She had a clear mission, but was unsure how to teach sewing and the basic skills to the new trainees. Luckily, Link had packed her teaching materials from her basic sewing course at MU. The remaining two weeks were spent running back and forth between the apparel factory and The Garrobo Project helping with the initial classes and getting the program off the ground. Upon arriving back to Columbia, Link started to give thought to the subject of her upcoming thesis. It did not take long for her to decide she was heading back to San Salvador. Nine months after her original trip, she would be spending three weeks, this time solely with The Garrobo Project. A few of the trainees in The Garrobo Project’s classroom. The project’s initial vision was to give young unwed mothers the opportunity to break the cycle of poverty. With no sign of the violence improving, the program was extended to those in other situations as well. In addition to her thesis research, Link also taught a basic pattern making course. Typically she would wait for a translator to work with the students, but after becoming frustrated while waiting, Link took matters into her own hands and began teaching solo. “It’s amazing how much you can figure out through hand gestures,” Link says. On one occasion, she searched online for dresses and had the students pick out their favorite and begin crafting one of their own. When making garments it is common to need to add and subtract fractions, finding the half or fourth of a measurement. Since many of the trainees did not have sufficient schooling, Link had to do the math and translate it, resulting in a rather cumbersome process. Eventually, she discovered a quick trick that smoothed the process – simply folding the tape measure in half for the half measurement and then again for the fourth measurement – something Link says she still uses to this day. By the end of the day, the students had dresses of their own to wear. However, one student had miscalculated and was inches too short in some spots. “When you mess up you never call it a mess up – you tell your teacher it’s a design detail,” Link says. The all-black, but too short, dress received a couple of hot pink flares and soon fit much better. When Link returned 18 months later to teach another pattern making course, The Garrobo Project had developed a self-sustainable small-scale production factory for women over 18. With Garrobo’s system they were able to produce a small number of items at a time, which is convenient for those wanting to sample a product or just starting a new line. During this third trip Link and The Garrobo Project partnered with a local shoe factory and produced customized MU shoes that were sold in Columbia at Route (formerly Mustard Seed) for a time. 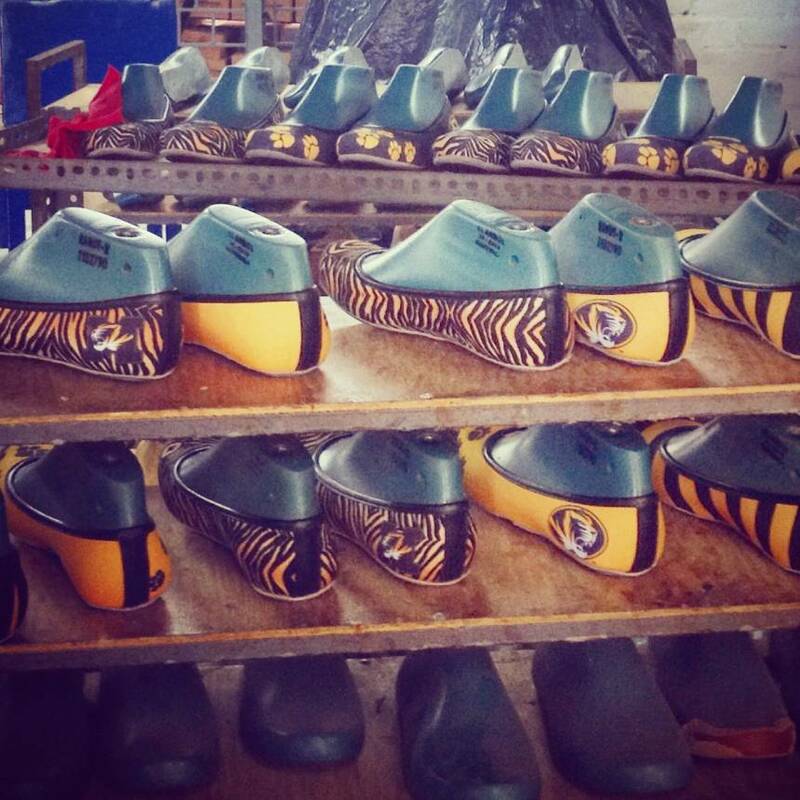 While in El Salvador, Link assisted in making customized Mizzou shoes that were sold in Columbia. Nearly two years into the project, Link was able to see the community within the program change. Girls who were once afraid to go to school were now skilled employees. Link recalls talking to one young woman in the workshop one day who said that before arriving at The Garrobo Project she lived on the streets and did “bad things.” Link pressed, but she would not elaborate. “‘Now that I’m here, I don’t have time to hang out with my bad friends,’” is all that she would say. While in El Salvador, Link began to see the similarities between textile and apparel management and rural sociology. The problems, the people and the geography of the two fields were shockingly similar. For two fields that are globally parallel, it is fitting that Link can see the textile sewing room in Stanley Hall from her graduate student office in Gentry Hall. Once back at school, Link says her textiles professors were noticing that she seemed to care less about the apparel and more about the people behind it. 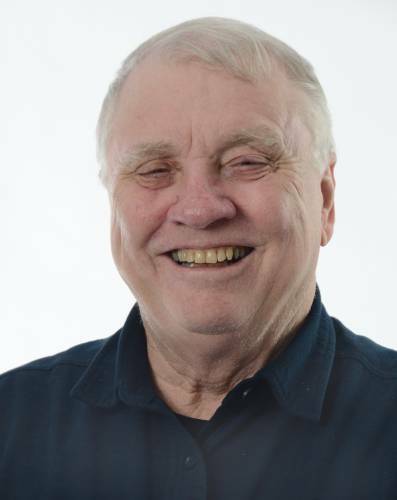 David O’Brien, professor of rural sociology, was also detecting Link’s budding interest. She took his course in community development and he was impressed not only with her presentations in class, but also the depth of her developmental work. As a result he encouraged her to apply for the rural sociology Ph.D. program in the College of Agriculture, Food and Natural Resources. 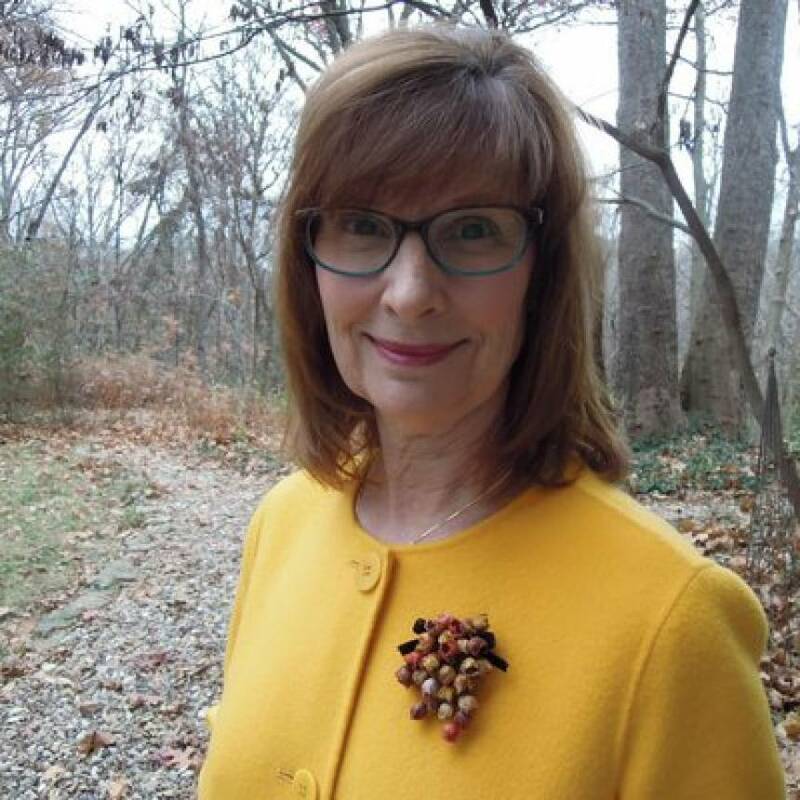 Mary Grigsby, professor of rural sociology and Link’s Ph.D. advisor, says she has made a great addition to the department. O’Brien says that she is able to broaden the department and, through her experience in foreign aid work and through the joy she finds in her research, is able to show other faculty and students that there is a larger world out there. Amid an industrial world where products are not always produced fairly or sustainably, Grigsby says that Link is not discouraged, but rather focuses on her ability to make an impact within her sector of the world. Link’s doctoral research is focused around the developing trend of non-food mobile retail trucks, such as apparel vendors, and is looking into themes behind the motives of these business owners. This interest started when Link’s friend from college opened a retail truck of her own out of an old Winnebago. 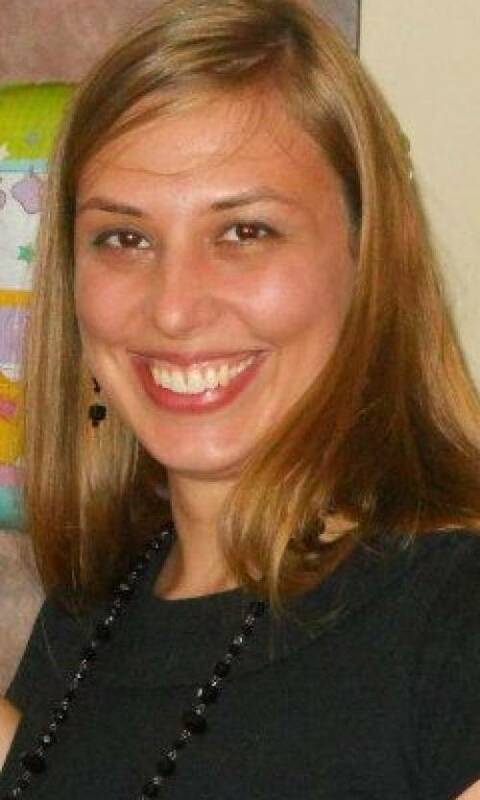 The fascination turned into the subject of her interview theory course, and eventually her dissertation. Now, Link has talked with 31 people from across the country whose stories are vast. The owners range from a wife of a serviceman who chose a truck because of their frequent moves to a young skateboard truck operator who offers “good grade discounts” to his customers to try and shift the stereotypes surrounding the sport. Link has even found a former NASA employee turned mobile retail truck operator. Link says that while the industry is a diverse one, there is a common thread woven through everyone she has talked with. “They all definitely have a strong entrepreneurship bug in them,” Link says. The entrepreneurship bug – and social media. Her work also examines these business’ usage of digital media and how it provides those with a low amount of capital a chance to succeed. Because of the newness of the movement, Link’s findings will be some of the first. Grigsby believes Link’s “nose for cultural developments” is discovering a new type of consumer and consumption. Link hopes to defend her dissertation this fall. Grigsby notes this project is able to combine the interdisciplinary background that Link holds in sociology, textiles and sales and marketing. Her findings will not only be useful for those interested in studying the trend, but also for those interested in pursuing it. A great blend of practicality in a scholarly work, according to her advisor. She says that while Link’s experience is diverse, there is a synergy between it all, including her service, research and teaching.